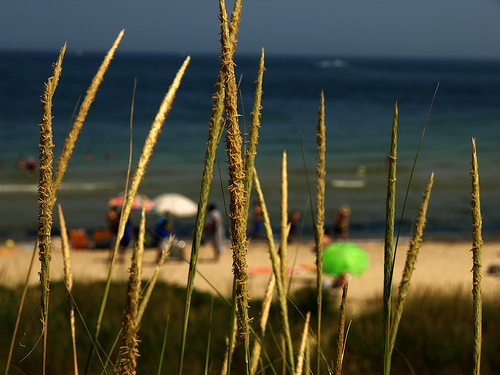 Martha’s Vineyard is one of the top summer vacation hot-spots in the Northeast. It is an island off of the coast of Massachusetts, and is full of wonderful beaches and forests to explore. There are no bridges to Martha’s Vineyard, so people and dogs need to either take ferries or fly to this island. 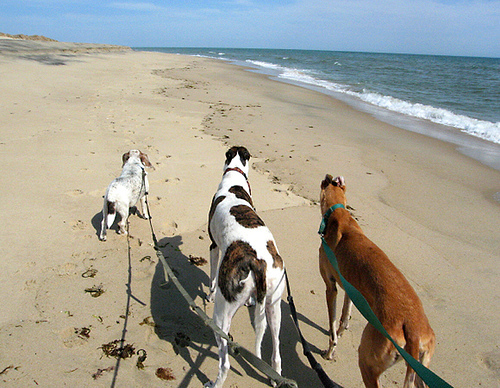 There are a handful of dog-friendly beaches in Martha’s Vineyard, but make sure to check if there are seasonal restrictions during your visit. There is also a huge, wonderful off-leash dog park. This farmers’ market goes on Wednesday and Saturday mornings from 9:00 AM-12:00 PM. The Wednesday markets will run from June through August, and the Saturday markets will run from June through October. You can shop for lots of fresh fruits and vegetables from local farms. Dogs can shop with you so long as they are on short leashes. South Beach is located in Edgartown, Massachusetts. During the summer months, dogs are allowed on the beach after 5:00 PM. During the off season, from mid-September through mid-April, they can be on the beach all day. They must be leashed. Joseph Sylvia State Beach is located in Edgartown as well. It is a two-mile stretch of beach. Leashed dogs may only go on this beach in September, before 9:00 AM and after 5:00 PM; they can go all day from October 1st through March 1st. They are prohibited to go on this beach from April 1st through August 31st. Norton Point Beach is also located in Edgartown, and it exists as a 2.5 mile strip of sand and sand dunes. Its environment is always changing, and is affected by erosion, but there are nevertheless many outdoor activities to do here. Dogs are allowed, but must be kept on a leash at all times. This wildlife preserve is located in Edgartown, and has over 150 acres of pine forest and meadow. Dogs can hike with you on leash. This restaurant is located in Edgartown, and it serves breakfast, lunch and dinner. Dogs are welcome at the outdoor patio area. This cafe is located in Vineyard Heaven, Massachusetts. They serve Italian specialties, pizza, ribs and chicken. Dogs can join you at the outdoor tables.